So what I did was wear a slim silver belt just above my baby bump (also known as my waistline these days). And voila! 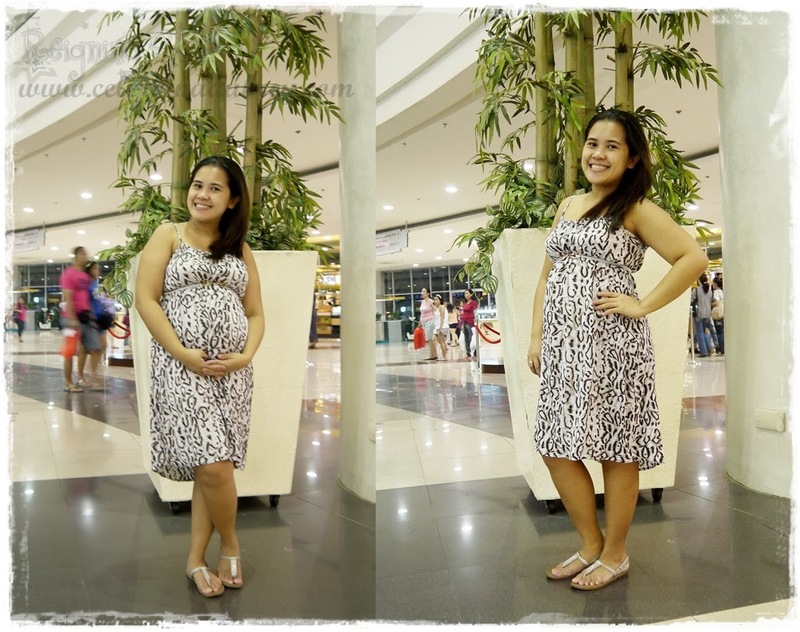 It now actually looked like a maternity dress! Even Mila didn’t recognize it at first. Nyahahahaha..
And so these are my boys! 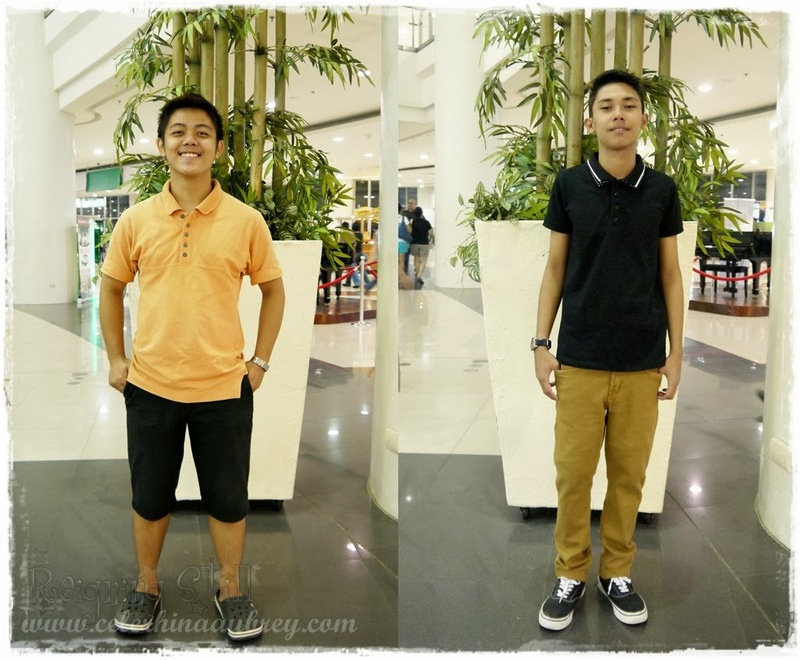 The Companion and The Brother gamely posed for a #OOTD in the middle of the mall because this pregnant lady wants her #OOTD taken at all cost. Para daw may karamay ako sa kahihiyan.